You are here: Home / Ent. / NBA 2K19 Tips and Tricks: How to improve Offense and Defense. NBA 2K19 Tips and Tricks: How to improve Offense and Defense. 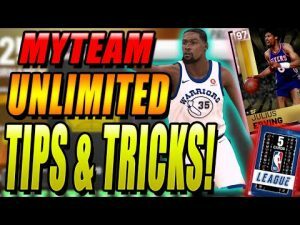 (ThyBlackMan.com) If you’re struggling or trying to score more, we have a handful of NBA 2K19 tips and tricks for you. This year’s game has plenty of new features along with some of the old features with major improvements. Here’s a list of all the tips and techniques you can use to improve offense and defense in NBA 2K19. On offense, pass the ball by pressing X/A and moving the left analog stick. One more thing you should keep in mind is that when you are near the basket, shoot. If your timing is right, you’ll enter a layup. Defending is still the most challenging part in NBA 2K19. If you’ve just started playing the game, make sure learning the mechanics by working hard in a 2KU game. Try to avoid using turbo too much when you’re in defense. If done wrong, you may end up giving a golden opportunity to your opponent. When you’re defending, tap and hold L2/LT and you’ll notice your marked player. Push the right analog key and move towards the potential ball handler to make him change position. They will most likely try to force you to change your position. Hold your position and they will lose the opportunity of being a ball handler for their team. Keep in mind that your aim is to force ball handlers so that they can make bad shots or poor moves. Instead of sticking with them or running around them, do things with a strategy in mind. Steal is also an important element that you should not ignore. There are times when you should go for it and when you should not. If you see a ball handler being careless, press X on your Xbox One. If you’re playing the game on PS4, use square button and on Nintendo Switch, tap Y and push the right analog stick down. It is better you keep things in control and to do so, tap L1/LB and you’ll notice the button icons on each player. It will help you set the screen. The default camera position in NBA 2K19 is from the side. You can change this from the option available under the Camera setting. These settings will improve your gameplay in many ways. In NBA 2K19, your Turbo plays a major role in determining your strength on the court. You need it when you’re trying to make a fast forward movement. In the Neighborhood, visit the Gatorade Training Facility and refill your turbo by performing drills. You can do that through VCs as well. Release the ball when the shot meter bar is full. If you are just starting, you should know that the shot meter has been revamped. You can customize it and it is available in form of a vertical bar this time and appears next to your player. If you’re short on VCs, the good thing is you can accumulate VCs in NBA 2K19 easily. In previous games, getting VCs was not so easy. Make sure you check the daily spin that gives you VCs for free. With that said, collect MyPlayer points, and if you want to take risks on VCs, Ante up courts are for you. Before you go ahead and gamble, make sure that you understand the game mechanics well. Daily objectives are also a great way to earn VCs so keep checking them. You will learn so much more when you’ll play the game yourself. AI has been improved a lot in NBA 2K19. You will notice the difference if you have played previous games from the series. Taking help of CPU is a good idea because Visual Concepts have given them enough competitiveness and awareness. You should also remember that CPUs never play as tight as you can. With these NBA 2K19 tips and tricks, make sure spending time in tutorials and guided activities. Some players even suggest choosing a less powerful team in MyCareer. It can help you spend more time on the court and develop your skills.